We start thinking about Christmas as soon as the weather starts to turn chilly and the days get shorter. And when we're feeling festive, we love deciding what trinkets we're going to decorate our homes with. By the time 25 December arrives, our rooms are full of Father Christmas figurines, dainty snowflakes and colourful baubles. We also love to put red-nosed reindeer, scarf-clad snowmen and berry-topped interior treats for teatime on display. If you'd like to start preparing for the holiday season, we have plenty of wonderful Christmas decorations you can start knitting and crocheting now. Once you've decided which patterns you'd like to buy, you'll have the option to print them out yourself - or we can send them to you in the post. Let our round-up inspire you to start making. Red and white with a fabulous Fair Isle pattern, this round wreath would look charming when hanging from a handle by a scarlet ribbon. The bundle also includes knitting patterns to make a heart and a stocking. This modern take on the traditional nativity scene is simply wonderful with its Mary, Jesus, Joseph, a trio of kings plus a shepherd and his sheep. String up these dainty Christmas decorations and hang them for your mantelpiece. For added shimmer, we suggest using a yarn with metallic flecks. Ditch the chocolate and have a go at crafting our unusual take on an Advent calendar. Simple to make with oddments of DK, you could spend the money you save on materials on purchasing dinky gifts to pop inside each little sack. We reckon brighter is better when it comes to making these squidgy woollen balls. 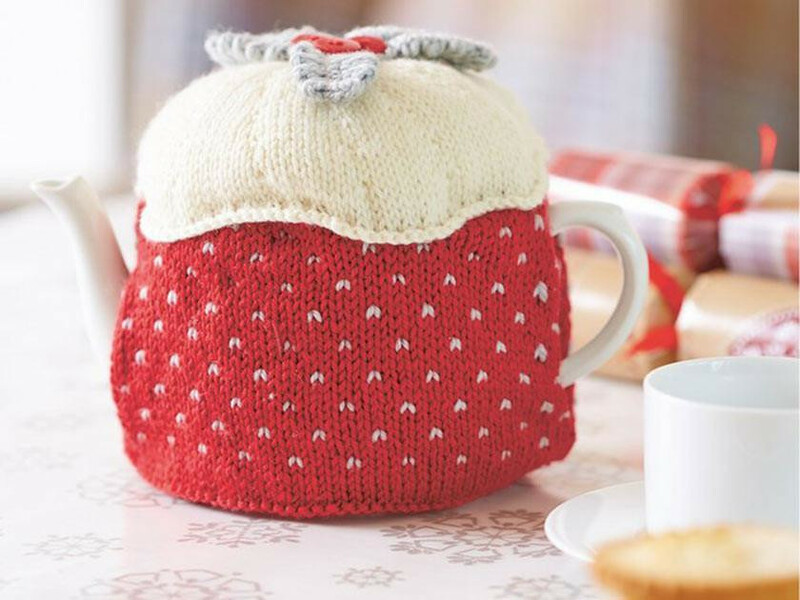 This cute novelty cosy will ensure your brew stays toasty while you tuck mince pies. The make is lined inside with a simple stocking stitch and has a pretty all-over Fair Isle design on the outside. Perfect for packing with presents, this crocheted stocking promises to spread some seasonal cheer.